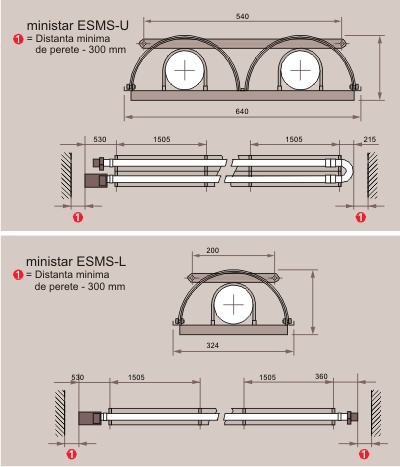 SCHULTE - ministar is available in two versions: "L" and "U"- shaped. 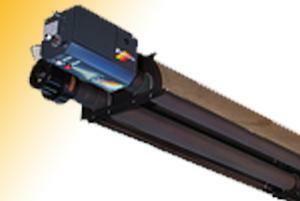 Their power differs with the type of appliance, from 5 to 45kW. The system includes: low pressure burner, ventilator, tubes and reflector, made in high temperature resistant steel. Natural gas or LPG are used as heat agent. For best fitting to the installation place the Schulte - ministar system is provided with a few accessory kits. In certain cases an additional thermal insulation can be installed. For wall mounting are provided oblique mounting brackets. In the lower side of the radiant tubes may be installed some grids for protection against ball hits. With all these accessories the heating systems can be installed in sports halls.